If you are experiencing symptoms such as jaw pain or swelling, a popping noise when you chew or yawn, or if your jaw locks from time to time, it would not surprise us if you guessed correctly that there could be something wrong with your jaw – these are telltale signs of a TMJ disorder. A TMJ disorder can cause a host of problems that originate in your tempormandibular (TM) joint. Meant to move smoothly, allowing fluid motion that opens and closes you jaw as well as moving it forward, backward and from side to side, your TMj joint does not normally cause any kind of discomfort. However, when this joint is misaligned, the muscles, ligaments and nerves associated with it are placed under excessive strain causing pain to radiate from the jaw. This is where TMJ gets complicated. A TMJ disorder often affects other parts of the body that seem to be unrelated. You may suffer from chronic headaches or a stiff neck. Swallowing could become difficult as your tongue tingles or your throat aches all of the time. You could even experience TMJ hearing problems as a result of a problem with your jaw. Your temporomandibular joint is an intricate system of nerves, ligaments, muscles, and bone that work together to allow you to eat, yawn, or speak on a daily basis. There is a direct connection from the TMJ to the middle ear. People who find themselves living under a great deal of pressure can place too much strain on their jaw, clenching their teeth during the day and grinding their teeth at night. The consequence is discomfort and pain. In some cases, the problem may originate in the actual oral structures in a person’s mouth, the way the bite has formed or the amount of spacing that is available. Trauma or injury is another TMJ cause. A blow to the joint can cause it to become misaligned. Whenever the delicate system of the temporomandibular joint is not working properly, it can have big consequences, even affecting the nerves that are related to hearing. One of the most troubling effects of a TMJ disorder is altered hearing and hearing loss. While there are many causes of hearing loss, many people have no idea that TMJ is one of them. 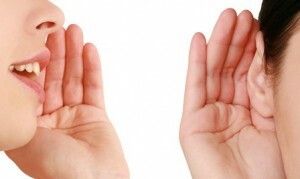 Consequently, for those whose hearing problems are caused by a malfunctioning jaw, the problem often goes unresolved. As humans, hearing is not only critical for our safety, it brings us beauty and joy through music, communication and the sounds of life. TMJ hearing loss begins with inflammation. With its close proximity to the ear, any inflammation in the muscles of the jaw can cause the muscles associated with the ear to become constricted. How? The tensor of the ear drum, the Tensor Tympani is ebryologically related to the Medial Pterygoid jaw muscles. Eustacian Tube problems can lead to pressure build up and feeling like you have water in your ear. These bones, the incus, malleus and stapes, are involved in hearing and balance. The result of all of this is that the TMJ pain that the brain misinterprets as ear pain can lead to hearing loss and dizziness, in the same way that actual problems with the inner ear can. If you are experiencing symptoms that indicate you may have a TMJ disorder, or no one else can give you answers about your hearing loss, it’s time to try another route. The key to effective TMJ treatment is an accurate diagnosis. Dr. Shapira is a dentist who specializes in TMJ disorders. His understand of the principles of physiologic dentistry, along with specialized technology that can relax your jaw muscles and diagnose the root cause of the problem, help him find effective, long lasting treatment to put you jaw back into it’s happy place. Can Dr. Shapira help you? Why not come in for a consultation and find out. I have been diagnosed of having T M.J finally now through a whole year of no clue. They are going to make a night guard dentist says that should help. I was wondering will the pressure on my ears subside? Feels like I can’t hear or stuck like cement. If the majority of your problems are at night or early morning a nightguard may be very helpful. Many patients have problems throughout the day and then a 24/7 appliance may be needed. The pressure in the ears should subside with treatment if it is related to TMJ disorder and the dentist understands what is necessary to retore balance to your system. My TMJ has been hurting for awhile and I’m being sent to a specialist. Its taking awhile because it’s hard to find someone that accepts Medicaid. I just recently started to feel small pops in my ears when I swallow, and it is also hard to swallow. Can the hearing loss be permenant? If so, how long would it take to be permanent. Permanent damage usually does not occur rapidly. If you lock it does become an emergency situation. The pops when you swallow may be either joint or eustacian tubes. I recently have been diagnosed with tmj due to my jaw locking, and I have learned popping and clicking is a sign of tmj which I have experienced those symptoms as long as I can remember. 5 years ago I was diagnosed with significant hearing loss that has worsened horribly over the years to profound damage and the idea I am rapidly going deaf with no known cause. If it is the tmj, and I go through treatment for it will my hearing improve again. Or is this permanent.. I wish I could say yes to improvement of hearing loss but the best I can say is a qualified Maybe. When you lock the disk is moved forward out of position and the condyle rests on the Retrodiscal Lamina of the TMJoint. This tissue has nerves and blood vessels that are never supposed to be under pressure but are smashed when disk is out of place. The tensor of the eardrum is a “Jaw” muscle and it is embryologically linked to medial pterygoid muscle, The opening and closing of eustacian tube is controlled by Tensor Villi Palatini muscle. There are additional secondary and tertiary effects of jaw problems. I have had patients see hearing improve with Sphenopalatine (SPG) Ganglion Blocks http://www.sphenopalatineganglionblocks.com/blog/ Is the hearing loss unilateral or bilateral? Tinnitus? Otalgia, ear pain? There are many possible connections and I would suggest trying a diagnostic physiologic orthotic as first step. Cranio work can also effect hearing but will not hold without first controlling muscle activity. No Promises on hearing loss. Good news is that with no pathology identified there should be potential for healing. I recently have been having biting problems, and yesterday as I started doing jaw excercises in the sauna — apply pressure to my jaw with my hand then forcefully open my mouth. When I stopped, I noticed my hearing was distorted — loud noises had an electronic pitch. And as I went to sleep, this distorted hearing turned into buzzing in my ears — first my right ear, then my left. I woke up the next morning, and now the distorted hearing is gone, but both my ears are buzzing (right more than left), which I think is tinnitus. I also felt pressure in my right ear yesterday and tried doing the valsalva manuever, but to no avail. Can this buzzing sound be eliminated? It is usually never a good idea to force the jaw, but it is unlikely you have done any prmanent damage. There are many connections of the ear to the jaw. The Tensor veli palatini muscle opens and closes the Eustacian tube and the medial pterygoid muscle is embryolgiclly the same as the tensor of ear drum and are often in spasm together. There are also direct positional issues, blood flow issues and possible Pinto’s ligament connecting them. Regardless of the exact cause I would suggest starting treatment with a physiologic diagnostic appliance. I expect the problem will resolve. I’ve had a bit of jaw clicking for ten years. That’s been the only symptom. Since 3 weeks my jaw feels tense my ears feel clogged and I’m sensitive to high pitch sounds. And a bit of ringing. What’s possibly going on? There are many ways a TMD problem can cause these issues. Frequently, the tensor of the ear drum (tensor veli tympani) spasms with the medial pterygoid muscle due to common nerve supply. The SCM can also cause tinnitus. When you have clicking it is a sign the entire system is out of balance. This alone is not ominus but patients often get worse over time. Hello – I’ve been experiencing tinnitus for about 8 years now. I noticed it after experiencing a really bad headache (I don’t often get headaches). Since then, I also experience cracking sounds when I swallow, but none when just chewing or opening and closing my jaw unless I open it all the way. I would sometimes hear flutter in my right ear when I hear sounds such as the water running. Occasionally my jaw would crack and I have a history of grinding so I started using a mouth guard 3 years ago, but my main issues are with my ears and the ringing as well as the occasional clogged feeling and itchiness. I had 4 teeth extracted before getting braces as a child for an overbite, had my wisdom teeth extracted, fillings then braces again a few years ago as an adult for my crossbite after I started experiencing tinnitus, tense shoulders and neck and some jaw pain. More recently, the ringing has elevated, which prompted me to visit an ENT and found no issues other than having mild hearing loss. I even got an MRI done, which turned out normal. I’m not sure if my TMJ is getting worse, but decided to move forward with treatment in hopes it would alleviate my ear issues. I’m a week into wearing an orthotic for my misaligned bite by merely 1 mm or so according to my physiologic dentist. I wanted to get another opinion and see if this could all be due to TMJD? Sometimes I question if it is TMJ related because I don’t experience headaches, which seems most patients experience and my MRI appeared normal. Also, if this will help with my tinnitus, how long until it could be relieved? I’m not expecting it to completely go away, but hope it would go down again through time. Thanks so much for your input! Tinnitus can be a difficult symptom. High pitch tinnitus that never chagesis the most difficult to treat. I suspect that some of your issues are related to extracting 4 teeth for ortho. Do you have a forward head position? If yes you may need to open your bite more temporarily to correct your head posture. The craching sounds in your ear can be related to eustacian tube dysfunction from the Tensor veli palatini muscle. TMD is a combination of many factors, those inside the joint or intracapsular disorders which usually includes the clicking and popping noises. Much of the dysfunction is from myofascial pain which is extracapsular. Trigger points can cause tinnitus , especially in the Strenocleidomastoid muscle. Count yourself luck that you are not experiencing headaches. 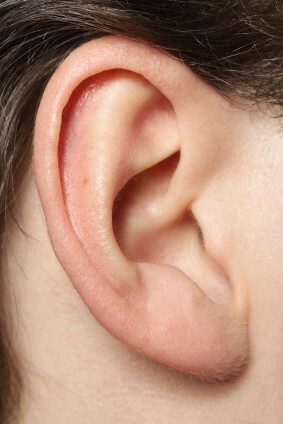 Check the position of the condyle by placing your pinkie finger in your ear with the soft part forward. Open and close your mouth fully, does your condyle get pushed in your ear? You can feel with pinkie, if yes jaw is too far bach which is a common pathology are bicuspid extraction. but I don’t grind my teeth and I ask the dentist if I have any signs of grinding my teeth and they don’t see any signs of it. I went to a new dentist and he said I needed braces to fix the problem and I don’t want to pay for braces if it isn’t for sure going to fix the problem. I also went to a oral surgent and he said I needed surgery. I don’t know what to do. TMJ is very painful. A night guard makes sense if you have pain during the night or upon awakening. If you have it during the day as well a nightguard is not the best approach. The best approach is to start treatment with a diagnostic physiologic orthotic. I am currently in Buenos Aires , Argentina and gave a lecture on SPG Blocks. There were amazing presentations from doctors from Japan, the United States, Canada, France, Italy and Russia. The science is exploding while most dentists are being left bewildered and confused. A diagnosis is the first step, surgery is the very last after all other options have failed. Insurance records have shown the nummber one diagnosis for surgery is repeat surgery. It makes more sense to go the diagnostic orthotic route. Even a full mouth reconstruction is a bargain compared to surgery. The quote “THERE IS NO DISEASE OR DISORDER THAT CANT BE MADE WORSE BY STICKING A KNIFE IN IT” says it all. Ideally, a reversible orthotic should relieve most or all symptoms before considering a surgical approach. Vist my youtube channel to hear patients discuss their issues and how treatment drastically improved their quality of life. Hi, Dr Shapira I have problems with clenching as a teenager. It went away for thirty years. Now I’m 49, and has come back worse than ever. Been to every oral, physiologic, tmj specialist. All suggested a special night guard. Four different ones. They all do not work. Had an m.r.I everything perfect, no arthritis, tmj joints are perfect. Every day I’m in pain, jaw pain, left ear clogs,musle spasms in face near ear, neck pain, facial pain,shoulder pain. I do not think it is sleep apnea.I do not snore or feel tired. Could it be psychological and it is hard habit yo break.I do wear a night guard but only protects teeth, does not solve the problem. Why is it lasting 2 years and counting and nobody can figure it out? Any suggestions. Should I see a psychiatrist? I just do not understand why I cannot break the habit? Or is it something else.No matter what type of night guard I still clench. I think I hold a lot of anger and that’s my way of releasing. Do you have a recommendation for somewhere in the Atlanta area? I usually suggest visiting ICCMO.org for Physiologic Dentists but each patient and doctor is unique and results vary. 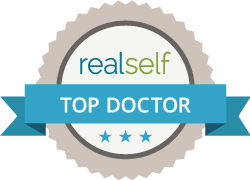 There are only a few docs I highly reccommend and they are not in Atlanta area. I suggest you view some patient videos, you will find patients similar to yourself which may help clarify what is possible. It sounds like you have MPD or myofascial pain and dysfunction. This does not show on CT or MRI scans. MPD responds well to trigger point injections and spray and stretch techniques. The ear problem is probably a eustacian tube issue and related to tensor veli palatini muscle that opens and closes eustacoian tubes. Psychological issues should be dealt with but sounds like a functional issue. I have had horrible teeth grinding after quiting smoking cigarettes that thankfully went away after time. Now I have quit smoking Marijuana and the night time teeth grinding has come back to the point that I have ringing in my ears that wont go away. Jaw pain Is the ear ringing temporary ? will teeth grinding and ear ringing go away after time ? I also have back and sciatic nerve pain which is severe enough that I occasionally take Norco for pain relief. Treating pain and jaw problems equire complete history and objective findings in order to assess issues and form a treatment plan. Hi , I am putting on a TMJ Appliance , as my dentist referred , they say there is a slight displacement . My jaw gets locked on the left side , and it is very hard to open my mouth, I have been neglecting this for a while say 5 years. Recently the locking become more painfull, will the use of TMJ appliance help reduce the issue . Will it have any other side effects ?? Since I started using the appliance , i am finding some change when ever i open and close my mouth i feel the need to make a slight movement to close my mouth completely is this indication to any further damage?? You have an issue that has been neglected for 5 years. I think the first srtep is to be reevaluated by your dentist. Please view my youtube channel to hear patient’s stories. If you are not unlocked permanent damage is probably continuing to occur. I am recovering from a concussion I suffered 2 months ago. While most of my symptoms have gone away, there’s a problem with my hearing. When I bite down on my left jaw, I feel a small painful sensation. I also experience my left ear twitching when I hear loud noises nearby like the sounds from the ‘clangs’ of glass bowls and plates. While it does not severely affect my life in a big way, it can be distracting and nagging from time to time. Do you think this could be a TMJ problem? I am glad to hear you are recovering from your concussion. Research has shown that TMJ disorders can occur as long as two years after trauma. I would suggest trying an Aqualizer appliance to temporarily balance your bite to see if it solves the issues. It is like a small water bed for your jaw and can quickly let the muscles relax and hopefully heal. Yes, this could be a TMD issue. There are MANY Connections of the Jaw, Jaw Muscles and Jaw Joints to the ears. Hi… my jaw clicks sometimes when I eat, my husband can hear it! Also if I open my jaw to wide it clicks and affects my hearing. I grind my teeth and have white lines inside my cheeks, presumably cause chewing my inner cheeks? When I blew my nose my hearing goes loud, for a couple of minutes then gradually goes quieter. If I rub the little flap at front of ear, my hearing goes louder. I wake up in the morning with a blocked nose! I also have tinnitus. Help please? You have described several ear symptoms commonly associated with TMJ disorders. The hearing is probably related to eustacian tube dysfunction that is commom with deviated swallows. Hi, I’ve had TMJ for many years as a result of a botched surgery (over bite) on my jaw while in the Army in 1970. The Oral Surgeon who I interviewed with and agreed to perform the surgery did not tell me a trainee was going to perform the procedure on my left side. My left TMJ was/is painful. The Oral Surgeon that did the surgery told me nothing could be done for the pain, and always told me, “Attention to pain”. I said I don’t understand and he said don’t pay attention to it and it will go away. To a minor degree he was right, but my hearing on my left side has gotten very bad, as well as extreme tinnitus 7/24. So recently, I’ve seen an ear doctor that performed a hearing test and exam. She told me my ear mechanism is fine, but my loss is neural, not ear mechanics. She indicated at a very high confidence level (90%) that I have a tumor on my neural nerve. She advised me to get a brain MRI to determine the location and size. Well I did, and I don’t have a tumor. She still insists that my hearing loss is not due to TMJ. My right ear has normal hearing, but my left is very bad. I’ve seen web reports that indicate the audio and TMJ nerves are in close contact. I frequently hear stories like yours about people suffering for years or decades with symptoms. Frequently you can reduce symptoms during consult and gain understanding of the underlying issues. Doctors who do not understand tMJ disorders don’t understand that 1/2 of all input through brain starts in Trigeminal Nerve. Hello there. About 6 months ago I took a really really hard fall and landed directly on my chin. The weeks following were very painful and uncomfortable. I consider myself to have a very high pain tolerance and it was miserable. My teeth didn’t seem to line up like they had before (that part seems to have gotten better but I do have molar pain). If I put my hands on either side of my jaw right in front of my ears and open my mouth my jaw jets pretty far out to the left and my jaw is noticibly crooked. It pops and you can hear it if you’re close enough. If I move my jaw side to side or even just open and closed it pops and grinds. It’s not painful just very uncomfortable. My main issue here is not this though. It’s my ears. They feel so congested.. my ears pop when I eat, yawn, talk, also when I swallow even if my mouth is closed.. im afraid my hearing may not get better, it’s difficult hearing around all the popping and cracking going on here. I have back pain and a stiff neck. I also have had numbness in my toes if that is related… I am the kind of person that does not go to the doctor unless I cannot get better on my own. I just need my ears back. Help? A fall on the chin can lead to many issues. It is possible to fracture the neck of the condyle which would cause the bite to change and would be very uncomfortable. It can also cause damage to the TMJoints and cause internal derangement. The fall could throw the neck out particularly the first two vertebrae, the Atlas and Axis. All of those could cause changes in hearing and the postural distortions could spread through the entire body, even to toes as muscular adaptation tries to stabilize structural issues. tI woulds strongly suggest seeing a knowledgable dentist with extensive experience in treating TMJ disorders. Hi. I’ve had TMJ since I was little. I am 24 now and I noticed today my hearing in my left ear has diminished. I’m imagining my muscles relaxing, and my ear opening up. Perhaps energy/manifestation can cure it. Is there any recommendation? I heard Botox is good for TMJ. Please let me know, thank you. Botox is a powerful neurotoxin which it is usually best to avoid. Best treatment for fast relief is to start with a diagnostic neuromuscular orthotic and to learn to self administer SPG Blocks. 3 years ago I saw an ENT specialist for issues with my ears, having a clogged ‘full’ feeling like when you have a head cold and your congested, but I’m never able to clear them normal ways. The symptoms were intermitten, mostly just in one ear but not in both fairly equally. At the time the doctor gave me a hearing test, scoped my nasal cavity and diagnosed me with a narrow eustachion tube disorder. I was told at the time the only solution was to either insert a tube in my eardrum, or live with it. I just had a follow up because I have the symptoms in both ears equally and while it’s mostly uncomfortable there are times I’m in a lot of discomfort. At this appointment the doctor checked my hearing again, said it was fine, the ears where clear and suggested the root of the ETD could be TMJ and that I should get a mouth guard. I wear a mouth guard currently, it’s the last plate from when I did my Invisilign. I wear it relgiously everynight because if I don’t I grind my teeth something fierce. It sounds like if it were TMJ that my current mouthguard would be find, but obviously it’s not. Is there a special mouth guard or plate that is better. I’m in downtown Chicago and would like a recommendation for a TMJ specialist you think could really help me (I know you are on the northshore, but I don’t have car). You probably have TMD and/or MPD causing your issues. The Myomonitor ULF-TENS relaxes the muscles and often alleviates the issues. Short term you can wear your mouthguard 24/7, not just at night to see if it helps. My office is easily accessible by Metra to the Fort Sheridan Station or using Uber. Invisalign can help or cause TMJ and MPD disorders. I suggest starting with consultation. A simple check you can do is to put your pinky fingers in your ears with the sof part facing forward and open and close your mouth and see if you feel your jaw being displaced into your ears and if there is discomfort. Ringing is commonly associated with TMJ disorders from multiple sources. These include spasm of the TEnsor Veli Tympani muscle which has a common orgin and nerve supply with the medial pterygoid muscle which is always involved in TMD. Relief is possible without correcting crossbite but correction is ideal. Ortho may make the issues worse. I would suggest starting with a neuromuscular Diagnostic orthotic to eliminate symptoms. When symptom are gone or substantially improved is the best time to move forward. Expansion in an adult is best done with the DNA Appliance in my experience. Yawning or wide opening discomfort is usually (not always) relates to hyperextension and movement of condyle over the evidence. Keeping the tongue against the roof of mouth during yawning will restrict opening. It is possible to tighten ligaments with Prolotherapy. Hello my name is Kayla Waxman and I have been told by my doctor that I have TMJ back in March 2018. I found at night I am clenching and wake myself finding my jaw is flexed sideways a lot! I randomly lost hearing in one ear July 3 2018. I have been to ENT’S had CT and MRI both were clear. I have severe hearing loss in my left ear and told it is sudden sensorineural hearing loss. I told my doctor and specialists about my TMJ and nobody said anything about it relating to my hearing loss. They didn’t even have a word to say about it when I told them. I have been convinced since the beginning the TMJ is related to the hearing loss but have been told it was most likely a virus that damaged my nerves and I am left like this permanently now! I really need help and am finding it hard to find anywhere in Canada that recognizes and treats this! It is very possible there is a connection but there is no guarantee of your hearing coming back with TMJ treatment. I have seen good results and no effect but treating sooner rather than later would improve the chance of success. I frequently see long distant patients from across the US as well as International patients. 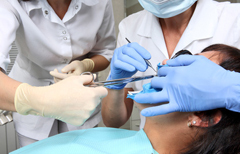 There are many excellent neuromuscular dentists in Canada. I strongly suggest the neuromuscular approach as it should have the highest chance of success in resolving your hearing loss. Hello doctor, when i open my mouth wide i feel a grating sensation with my left jaw, loud noises makes my ear pop then it will continue to crackle with any noise i hear do you think you can help me? Those are common TMJ disorders and we can usually improve or eliminat symptoms.